We visited the factory yesterday to check out our house “on the line”. 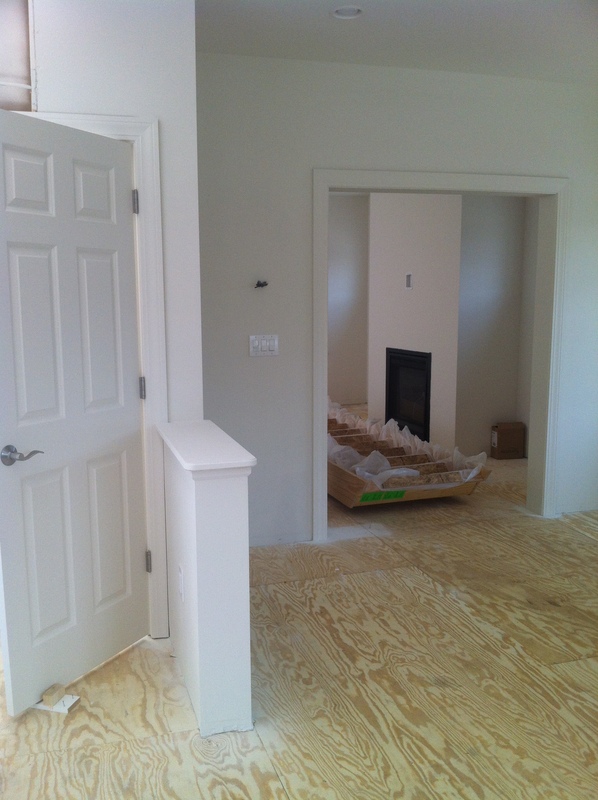 It was really surreal to see these rooms that we have been looking at on a floor plan come to life. Since we are building modular, the house is broken up into four “boxes”. The engineers, plumbers, carpenters, and painters follow a plan that is posted on the outside of each particular box. Mikey checking out the island. 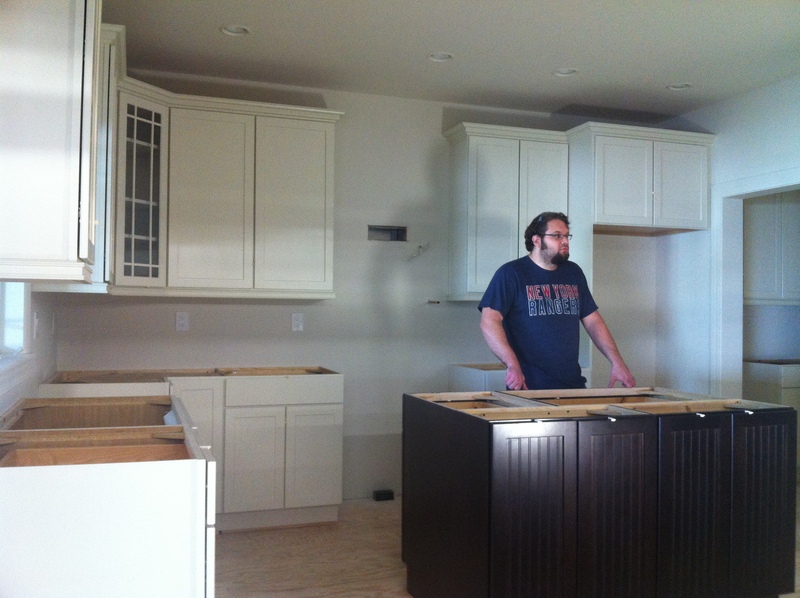 We were really excited about how the kitchen cabinets looked. 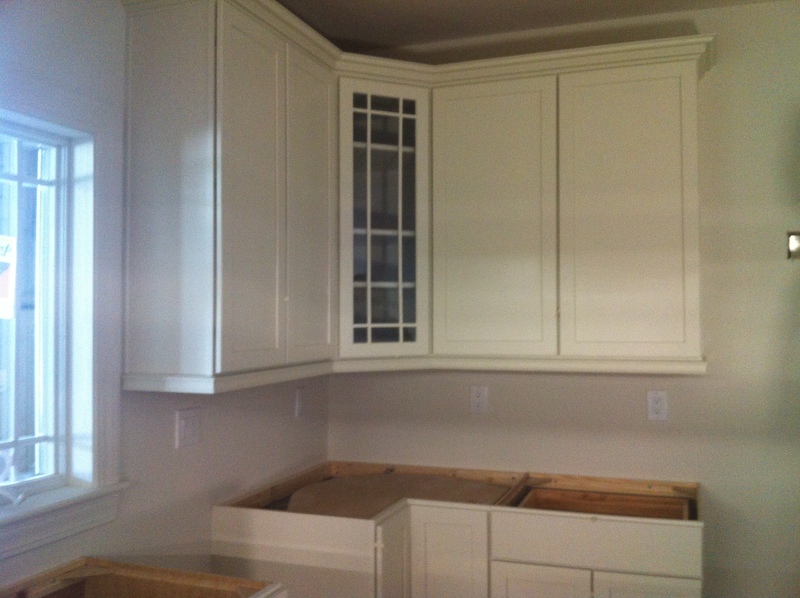 The only issue we had was that cabinets installed in the butler’s pantry were the wrong color. 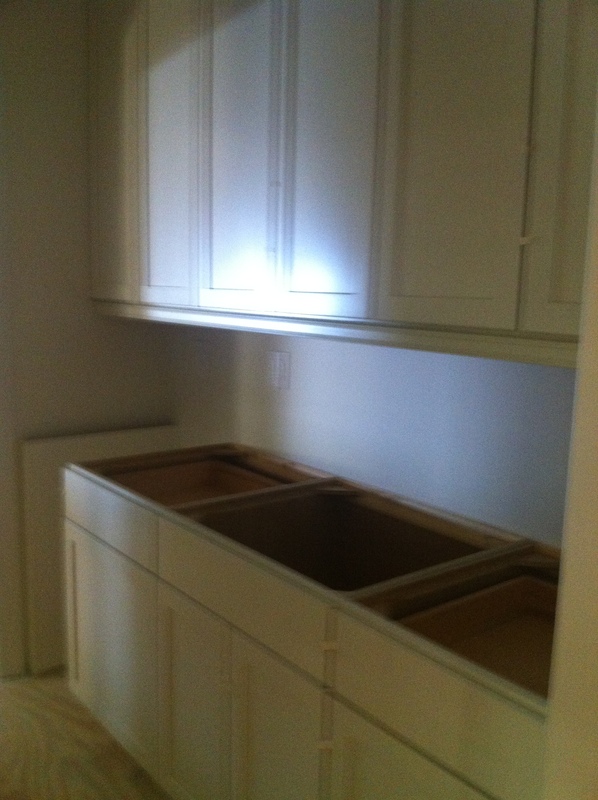 These cabinets should have been the dark brown “Kona” color, not the white “Chiffon”. Please excuse the blurry photos. The guys at the factory were super nice and they have already ordered the replacements. Building modular allowed us to design the interior to our liking. 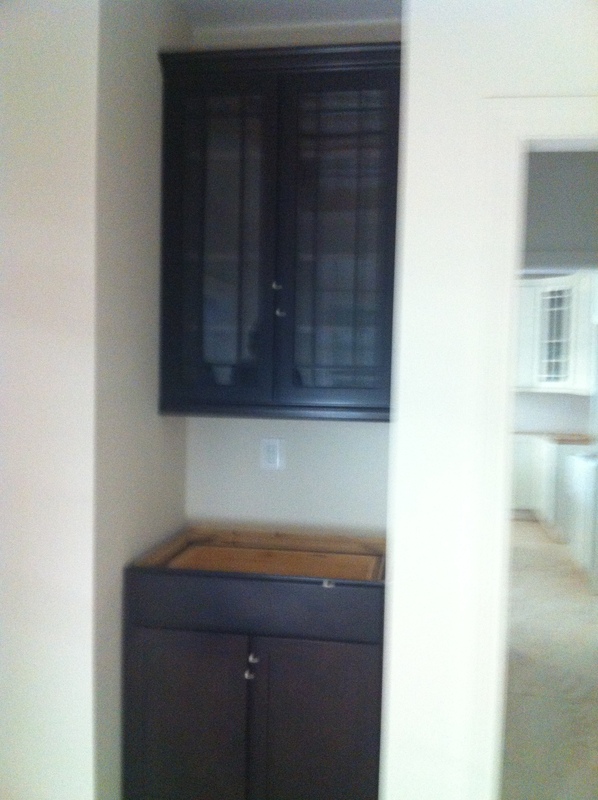 Details like this built-in china cabinet in the dining room are really cool. I wish we could have built-ins everywhere. Next we moved to one of the 2nd floor boxes. This one was made up of our master bedroom/bath and part of the 4th bedroom and study. 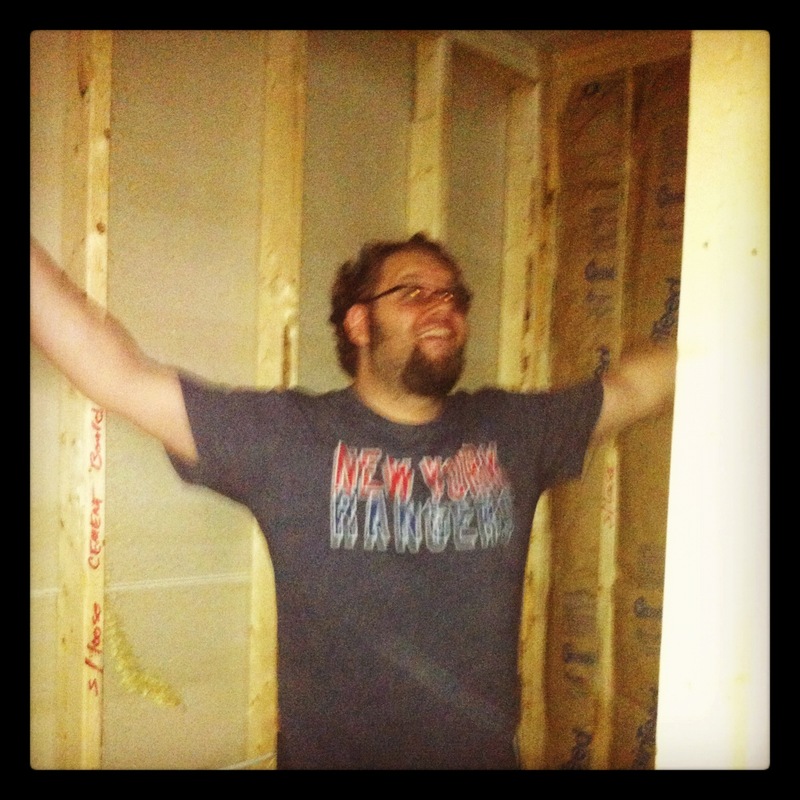 Mikey was really excited to meet his “shower room”. To stay within our budget, we had to go with builder grade options on a lot of our finishes, like this pendent in the upstairs hallway. Not my favorite, but not too bad. The next box was the other side of our 1st floor. This one had our family room and living room. 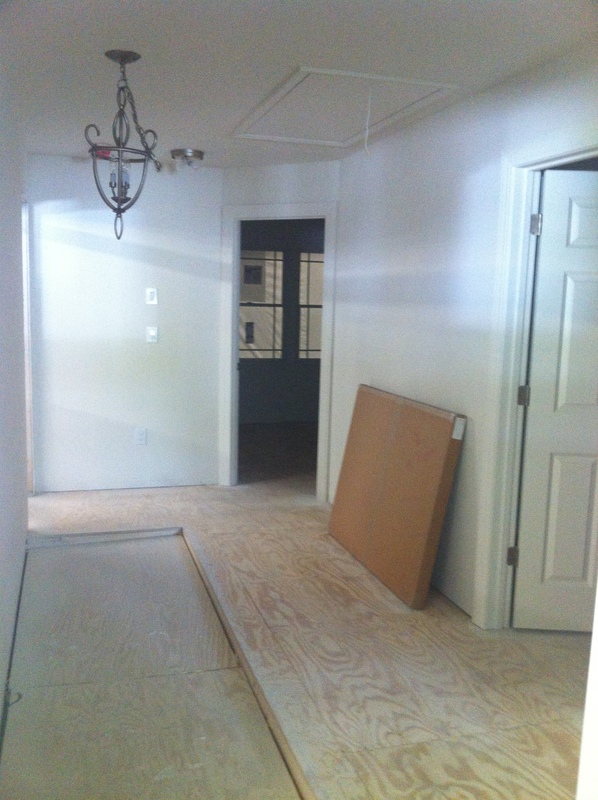 The half walls will divide the open kitchen from the the family room. Here is a first look at our living room. 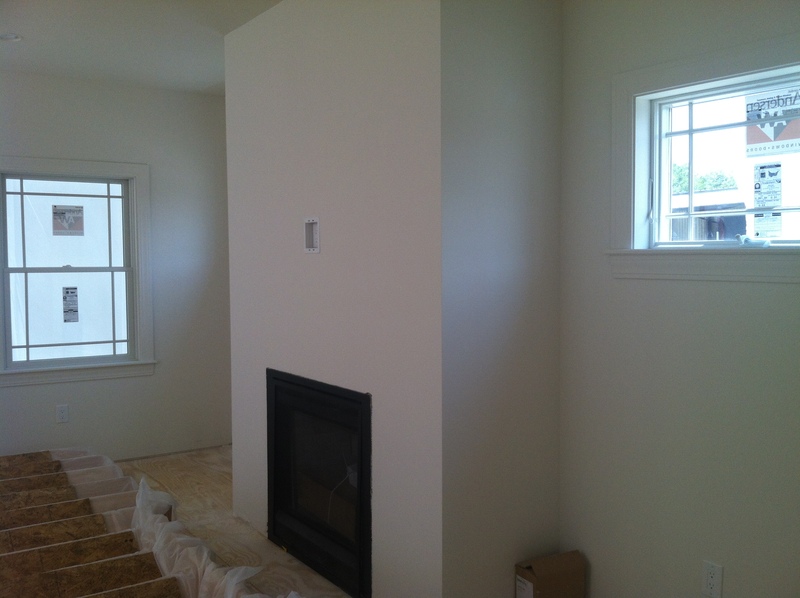 Eventually, I’d love to install built in cabinets around the fireplace. We’ll have to decide what to do once the mantle is installed. 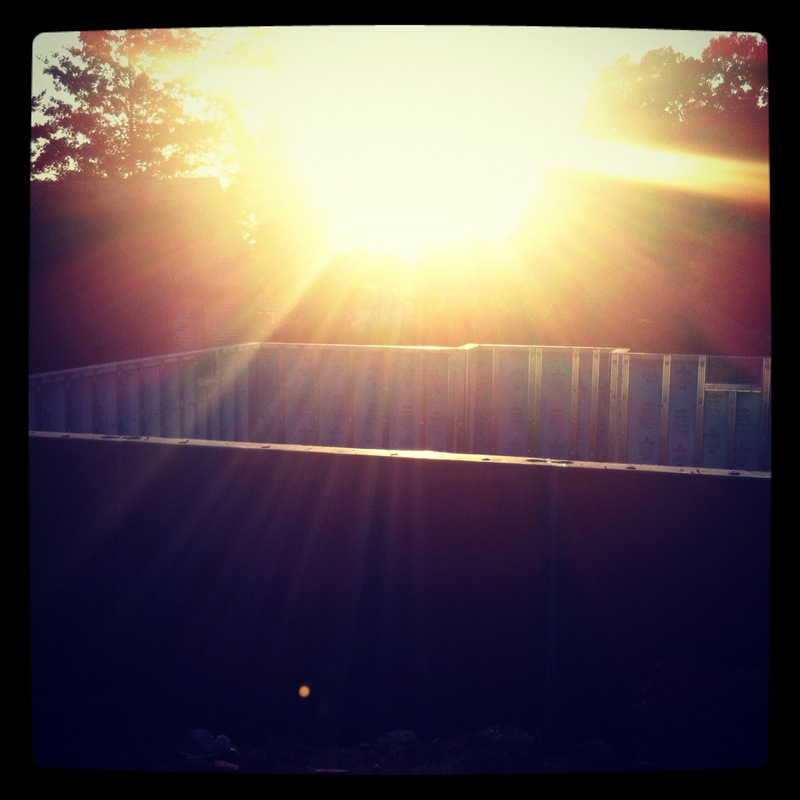 This ends the factory tour of our new modular house. It was really amazing despite the small panic attack I had when I realized this is really happening and we have to fork over the rest of our life savings to pay for the remaining finishings. Eek! This entry was posted in Building and tagged architect, bathroom, builder, building, foundation, modular, new construction, shower, walk in. Bookmark the permalink. “It was really amazing despite the small panic attack I had when I realized this is really happening and we have to fork over the rest of our life savings to pay for the remaining finishings.” It’s worth it, trust me. It’s going to be beautiful and I can’t wait to see it.